Published: May 16, 2014 at 07:31 p.m. Updated: May 22, 2014 at 07:47 p.m. The following won't sit well with anyone who grew up watching Barry Sanders dance and dart his way through opponents at the once-proud Pontiac Silverdome. 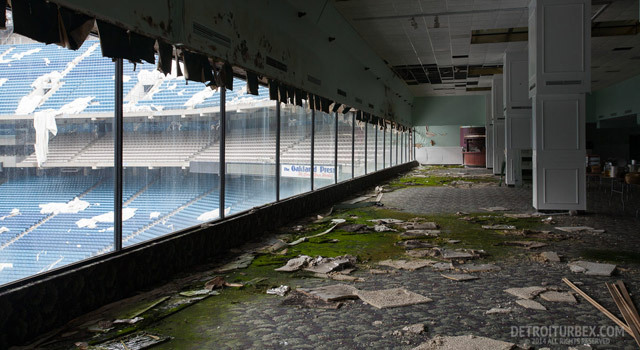 Home to the Detroit Lions from 1975 through 2001, the venue today sits in tatters. 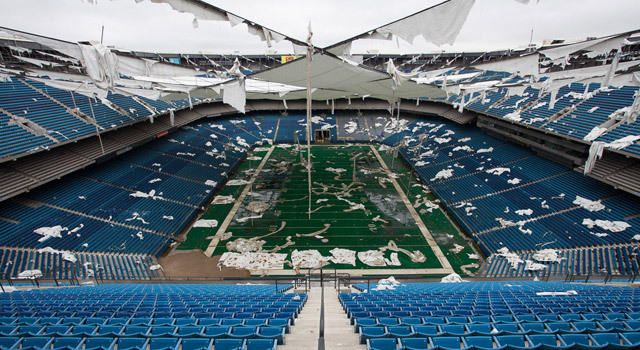 Detroiturbex.com, a site dedicated to preserving the area's crumbling landmarks, recently released a photo spread of the Silverdome in its current state, via Jay Busbee at Shutdown Corner. Without a major event to its name since 2011, the abandoned Silverdome has been handed over to the elements. 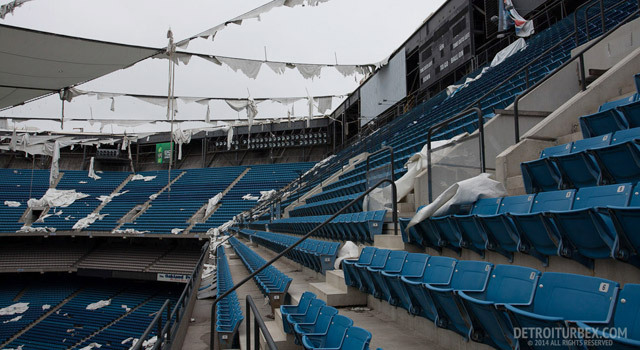 Wide sections of the fabric roof have dissolved into dust above rows of one-time luxury suites now in disrepair. NFL Media editor Mike Coppinger and I fondly recalled a day long ago when Wrestlemania III shattered indoor attendance records in front of a Silverdome horde that saw Hulk Hogan bodyslam 520-pound Andre the Giant for all the marbles. The stadium's swath of seats are set to be auctioned off later this month, but the building's heart was cut out long ago. The latest "Around The League Podcast" breaks down the latest news and predicts the 2014 season for top rookies.